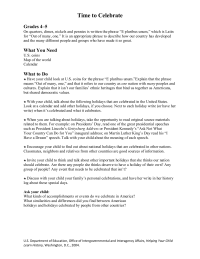 Holiday worksheets and activities kids will have fun completing while practicing skills across a variety of subject areas. 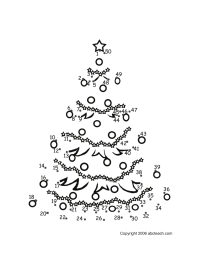 Find holiday and seasonally themed word searches, word scrambles, coloring pages, math worksheets, crossword puzzles, acrostics, connect the dots, and more. 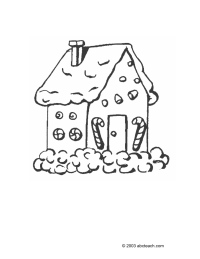 Enjoy this coloring printable of an adorable little gingerbread house. Provided by ABCTeach. 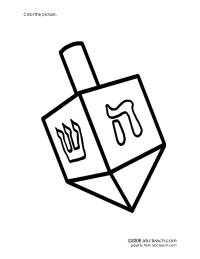 Learn about the favorite game of Hanukkah, dreidel, with this coloring page. Provided by ABCTeach. Talking about holidays allows children learn about history in their every day lives. Created by the U.S. Department of Education.